These conditions apply to all offers and contracts concerning activities and materials that result from these activities. The mentioned materials include technical documentation, technical translations, technical drawings, technical training and multimedia. If the client uses delivery, sales and/or purchasing conditions that deviate from standard Foxiz conditions, these will not bind Foxiz unless they have been explicitly accepted by Foxiz. All offers by Foxiz – in whatever form – are based on the information provided by the client. The offers are also based on execution and/or delivery of the work under normal circumstances and during office hours. Only the management of Foxiz is authorised to conclude agreements. Representatives and agents or other persons who do not belong to the management of Foxiz, are not authorised to enter into agreements, unless the contrary has been confirmed in writing to the client by the management of Foxiz. Agreements are not binding until they have been sent by Foxiz and have been confirmed by the client. Any additions or changes to these agreements will only be binding for Foxiz after they have been accepted and confirmed in writing by Foxiz. Unless expressly agreed otherwise in writing, Foxiz has the right to have work executed in whole or in part by third parties at all times. The conditions of Foxiz work in favour of these third parties on the condition that Foxiz authorises them in writing to refer to these conditions. If necessary, Foxiz may grant this authorisation retrospectively. The authorisation does not create any obligation towards Foxiz for these third parties. Dutch law applies exclusively to all agreements to which these conditions apply, in full or in part. All disputes that may arise as a result of an agreement to which the present conditions apply in full or in part, or further agreements arising from the agreements on which the aforementioned delivery conditions apply in full or in part, will be judged by the competent court in the district of Utrecht. 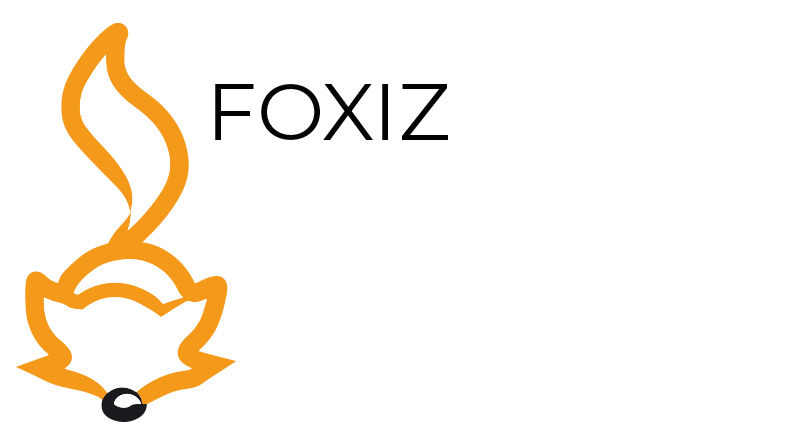 The management and employees of Foxiz are not permitted to divulge anything that has been entrusted to them in terms of confidential information or anything that has become known to them as confidential, or of which they must understand the confidential nature, unless the client expressly states in writing that this confidentiality has been waived. Drawings, calculations, descriptions, models and self-made text produced or provided by Foxiz, including so-called layout, are the property of Foxiz. Foxiz is the copyright owner, with all rights ensuing therefrom, in so far as the aforementioned copyright law applies. Unless expressly agreed otherwise, all rights arising from copyright or other intellectual property rights will transfer to the client from the moment the invoices sent by Foxiz have been paid in full. At all times, Foxiz remains the copyright owner of the graphic design that was commissioned by the client. The client has the right to reproduce and change the final product. When the client, or third parties who have acquired the final product from the client, apply changes to the final product, the client or third parties are obliged to remove all references to Foxiz as the creator of the product. Foxiz will not owe any compensation or guarantee to the client if the execution of the agreement is delayed or cannot be fulfilled in the event of force majeure. In the event of force majeure, Foxiz has the right to demand, without legal intervention, that the agreement be adapted to the circumstances or to dissolve the agreement in full or in part. The cost incurred for the project to this point shall be borne by the client. If the agreement has become temporarily impossible to execute, it will automatically be extended by the period in which the force majeure situation has occurred. Force majeure here means any circumstance independent of the will of Foxiz, even if it was already foreseeable when the agreement was entered into, that delays the fulfilment of the agreement permanently or temporarily, such as riot, epidemic, fire, traffic jams, strike, exclusion, loss or damage during transport, limitation of import or other restrictions by government, war, danger of war, civil war, and any other serious disruption within the company of Foxiz or suppliers of Foxiz, in any way whatsoever. Foxiz will not accept any further liability for the execution of work and will give no further guarantee than insofar as this has been expressly given in writing. Foxiz is neither responsible nor liable for the consequences of instructions given by the client or third parties acting on behalf of the client, that deviate from the execution as mentioned in this agreement. In so far as Foxiz could be liable, for whatever reason, this liability shall at all times be limited to the amount of the fee involved in the (partial) assignment excluding turnover tax. Foxiz is never liable for costs, damages and interests that may arise as a direct or indirect consequence of use of the customer’s sources that result in a violation of patents, licenses, other industrial or intellectual property rights or other rights of third parties. The client indemnifies Foxiz against all third-party claims arising from violation of the rights referred to above. Furthermore, Foxiz is never liable for costs, damages and interests that may arise as a direct or indirect result of data or actions provided by or on behalf of the client. This also applies to acts or negligence by suppliers of Foxiz, their subordinates and other persons who have been commissioned by or thanks to Foxiz. The client is obliged to make all information necessary for the execution of the work, such as texts, drawings, photographic material etcetera, available to Foxiz on time and free of charge. If during the execution of the work the client does not fulfil his obligations towards Foxiz or third parties as agreed, as well as in case of bankruptcy, suspension of payment, shut down and liquidation, Foxiz has the right to dissolve all or part of the agreement without notice of default. If and when Foxiz proceeds to do so, Foxiz is not obliged to pay any compensation or give any guarantee, and reserves the right to demand payment. The payment concerns the activities that have already been carried out and have not yet been paid, plus a compensation for damage(s) suffered and to be suffered by Foxiz. Foxiz will charge additional work and costs than set forth in the agreement unless the client can prove that these costs can be attributed to Foxiz. Prices quoted or charged by Foxiz are exclusive of any sales tax and exclude the costs that are charged to the client according to the agreement between the parties. The rates offered by Foxiz may be adjusted once a year, as of 1 January, on the basis of the CBS index CLA wages per hour including special remuneration, series 2010=100, in accordance with the applicable category. Foxiz is bound to offer the finished product to the client for approval before final delivery takes place. As soon as the client has approved the work produced by Foxiz, Foxiz is relieved of all responsibilities and liabilities for the text and content of the products. The final delivery date and the amount of time required to conduct the work will be estimated by Foxiz. The period in which the work must be finished starts as soon as the agreement has been concluded, all necessary information for executing the assignment is at the disposal of Foxiz, and the client has fulfilled the obligations up to that moment. The client shall never have the right to demand dissolution of the agreement or compensation on grounds of exceeding the delivery date or the time the work will commence, due to circumstances mentioned in article 9, unless expressly agreed otherwise in writing. The client shall also never have this right when Foxiz is in default. Even if Foxiz exceeds the delivery date, the client shall still be obliged to fulfil its part of the agreement. In addition, the client may not perform any work, even with legal authorisation, that is part of the Foxiz remit. Client is obliged to pay the conducted work and supplied materials within 30 days of sending the invoice. Payment can only be made in the manner indicated by Foxiz. Payments are made without any discount or set-off. In the event of late payment, the client shall be obliged to pay interest on every month or part thereof with which the term has been exceeded, in addition to the invoice amount, without being placed in default. In accordance with art. 119a of book 9 of the Dutch Civil Code, the Law on Late Payment in Commercial Transactions enters into effect after exceeding the payment term. If Foxiz receives clear indications regarding diminishing creditworthiness of the client, Foxiz has the right to not commence the work, or temporarily or permanently terminate its execution. In the aforementioned case, Foxiz can immediately claim the sum of work conducted, unless the client can, to the satisfaction of Foxiz, present a bank guarantee for the total amount of the agreement in time. If the client does not pay or does not pay on time, Foxiz has the right to recover from the client all legal and extrajudicial costs connected with the collection of the payment. Extrajudicial collection costs are payable by the client in the event that Foxiz has invoked legal assistance from third parties for the purpose of collection of the payment. Extrajudicial costs are payable by the client in case Foxiz has invoked legal assistance. If the client does not pay on time, the entire debt of the client to Foxiz including the non-expired part of this debt, will immediately become payable. The client is expressly prohibited from using material supplied or made available by Foxiz if the invoices it has sent to the client have not been paid in full or if the client has breached the agreement in any way. In such cases, the client is obliged to pay a penalty of EUR 350 for each violation or every day the violation continues. Foxiz is not liable for consequences of the use of the material that has been made available in the meantime. Foxiz stores a back-up on the server of all final products delivered to the client up to 1 year after delivery. These files can be used should the client wish to update the material. After conclusion of the agreement between Foxiz and the client, Foxiz is entitled to add the company name of the client to its client list. After completing the assignment, Foxiz will keep 2 copies of the final product for its own acquisition purposes. Foxiz is also entitled, subject to the provisions of Article 7, to make a concise description of the executed project and may use this description for the acquisition of new customers and the promotion of Foxiz through online marketing.